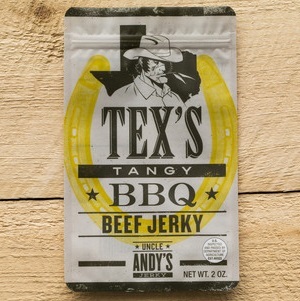 The only thing Tex loves more than riding off into the sunset on his trusty steed, Buttercup, is sitting around a campfire chowing down on some jerky. His first draw ain't his six shooter. It's this winner smoked over Hickory and topped with that vinegary Tangy BBQ goodness.